When I first made two invitation samples, for one person little did I know I would be using the both for two different people at two different schools and two separate ends of the country! First one is now announcement with pictures inserted in the center, along with grad information. 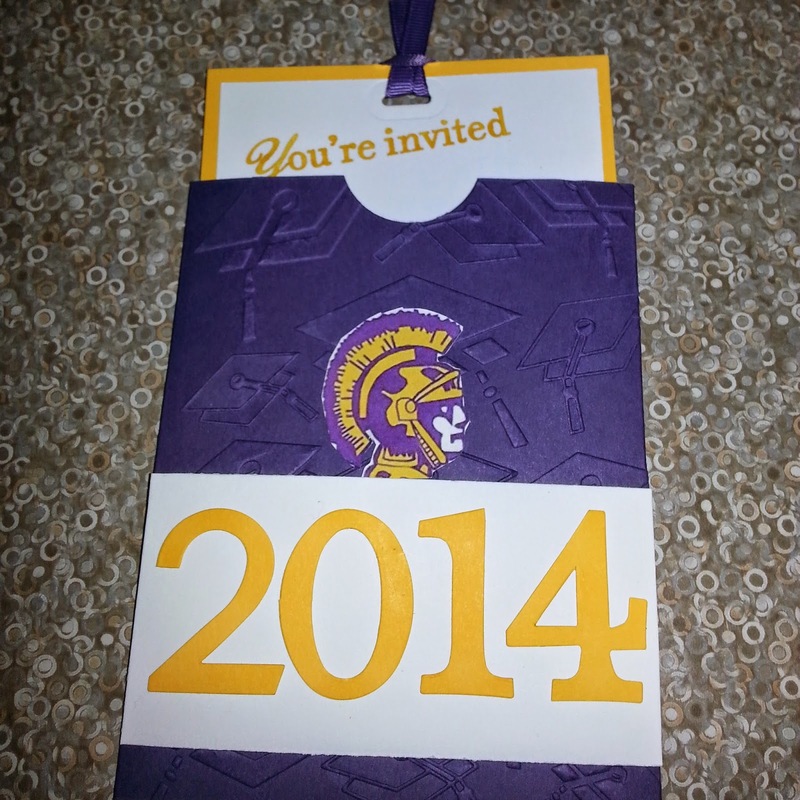 Second is grad party invitation. All worked out great. 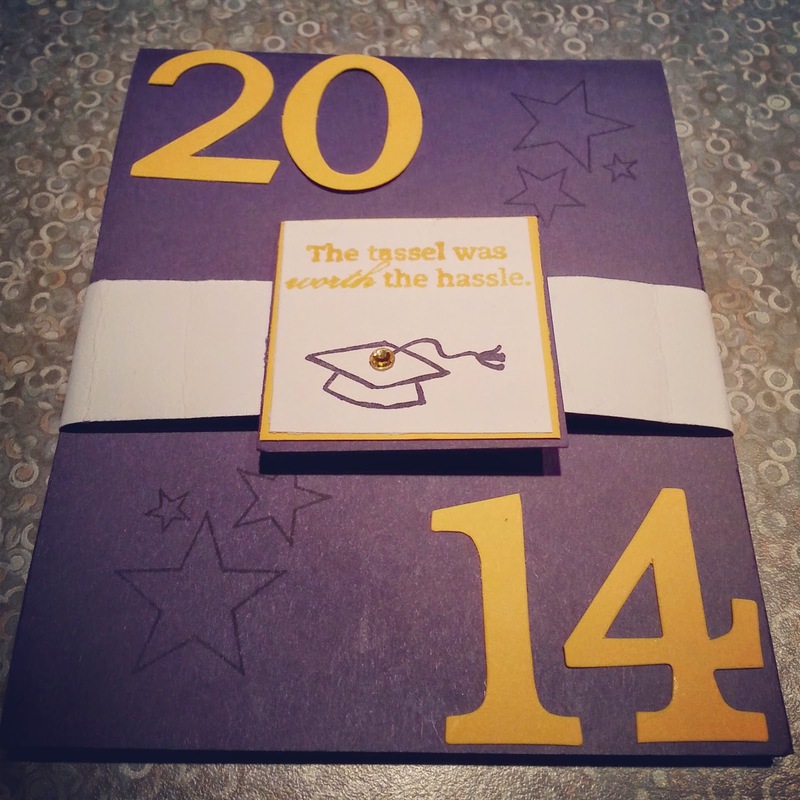 My gold & eggplant cardstock even has been reordered.